Loktak Lake - located near Moirang in Manipur, is the largest freshwater lake in north-eastern India. It is also called the only Floating lake in the world due to the floating phumdis (heterogeneous mass of vegetation, soil, and organic matters at various stages of decomposition) on it. 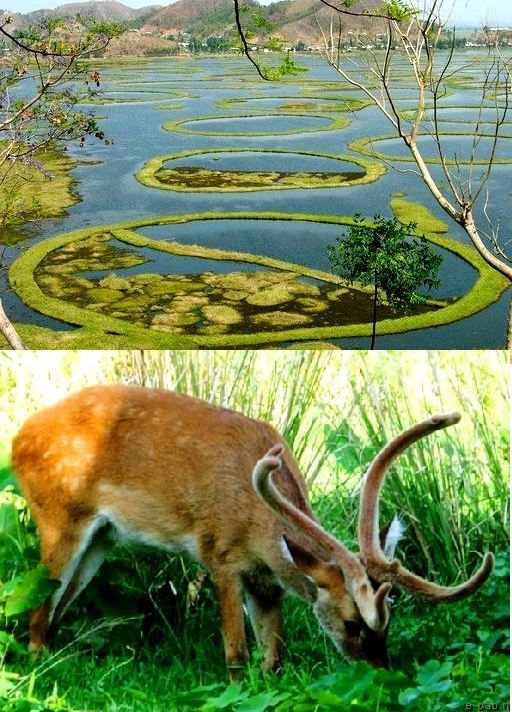 It is also the natural habitat of one of the most endangered deers, the Brow-Antlered Deer (Locally known as Sangai), which was once thought to be extinct. The Lake plays an important role in the economy of Manipur while serving as a source of water for hydropower generation, irrigation and drinking water supply. Fish yield from the lake is reported to be about 1,500 tonnes every year. The lake offers excellent opportunities for visitors to enjoy the beauty of the lake and its several islands located inside the it that are studded with floating phumdis of different geometrical shapes. Nearly 116 species of birds and 425 species of animals have been noted in the lake including 21 species of migratory waterfowl (most migrating from different parts of the northern hemisphere beyond the Himalayas). 116 species of birds. 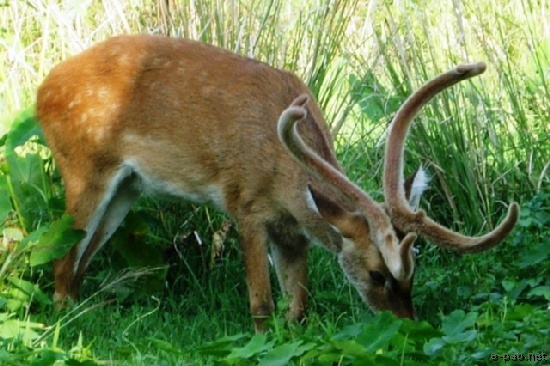 The list also includes rare animals such as the Indian python, sambhar and barking deer. With an average annual rainfall of 1,183 mm (46.57 in) tropical monsoon climate prevails in the valley. February and March are the driest months. And another reason for me to visit this gorgeous region. So much culture and sheer beauty! It is always a pleasure to stop by and read your latest articles. Thank you for bringing a piece of Heaven to me..